The Musée du Louvre (the Louvre Museum in English, or simply The Louvre) is one of the world's largest museums and forms a central and historic landmark of Paris. Nearly 35,000 objects from prehistory to the 21st century are exhibited over an area of 60,600 square metres (652,300 square feet). 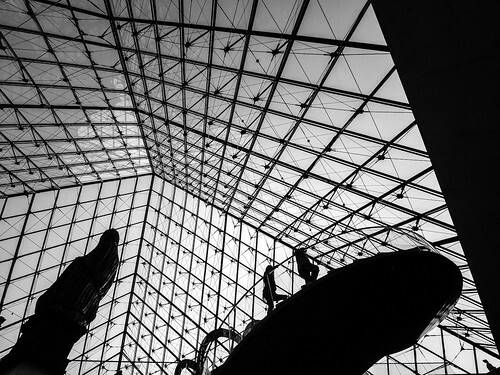 With more than 8 million visitors each year, the Louvre is the world's most visited museum. The Louvre Museum is one of the largest and most important museums in the world. It is housed in the expansive Louvre Palace (Palais du Louvre) which began as a fortress built in the late 12th century under Philip II. Remnants of the fortress are visible in the basement of the museum. The building was extended many times to form the present Louvre Palace. The Louvre collection is divided among eight curatorial departments: Egyptian Antiquities; Near Eastern Antiquities; Greek, Etruscan, and Roman Antiquities; Islamic Art; Sculpture; Decorative Arts; Paintings; Prints and Drawings. Since the Louvre is one of the biggest museums in the world, it's easy to get lost while exploring the countless pieces of artwork from prehistory to the 19th-century. It's difficult to take everything in in a single day. It is home to the The Mona Lisa and Venus de Milo, the Louvre is the most-visited art museum on earth. 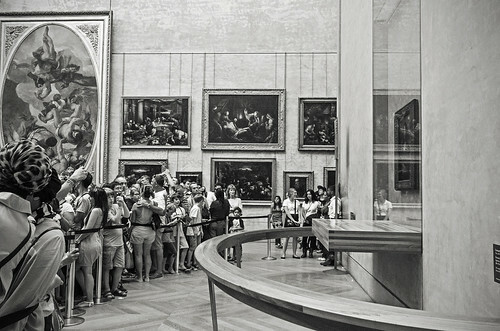 The Louvre has a few visitor groups that qualify no cost entry. The permanent collections are free for anyone 18 years of age or younger, 18 to 25 year old Europeans, Pass Education holders, art teachers, members of the Maison des Artistes (in France) or the AIAP, disabled visitors and their caretaker, and unemployed visitors. There is free admission for all on the first Sunday of the month. Louvre Museum Address: The Louvre, 75058 Paris, France (located on the Right Bank of the Seine in the 1st arrondissement (district) of Paris).